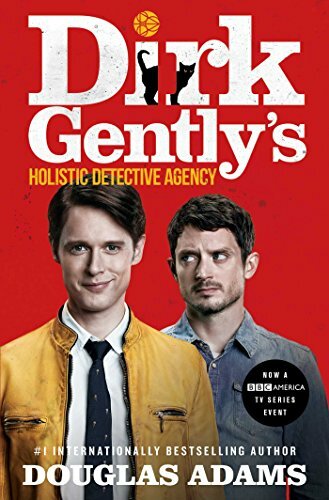 Gently, Dirk (Fictitious character); Fiction. Amazon.com description: Product Description: From Douglas Adams, the legendary author of one of the most beloved science fiction novels of all time, The Hitchhikerâs Guide to the Galaxy, comes a wildly inventive novelâin trade paperback for the first timeâof ghosts, time travel, and one detectiveâs mission to save humanity from extinction. Douglas Adams, the âmaster of wacky words and even wackier talesâ (Entertainment Weekly) once again boggles the mind with a completely unbelievable story of ghosts, time travel, eccentric computer geniuses, Samuel Taylor Coleridge, the end of the world, andâof courseâmissing cats.